Tonya Boudreaux was born and raised in New Iberia, Louisiana, a small community 3 hours outside of New Orleans. She has a great passion for facial rejuvenation and is dedicated to making her patients appear as vibrant as possible. Tonya completed her undergraduate studies at Louisiana State University in Baton Rouge, Louisiana. After graduating with a Bachelor of Science in Kinesiology with concentrations in both Human Movement and Pre-Medicine she moved to New Orleans, Louisiana where she worked in the Emergency Medicine Department at Charity Hospital as a Clinical Research Associate. During her time at Charity Hospital Dr. Boudreaux conducted research studies in the area of wound care and infectious disease. Tonya then began her pursuit of her medical doctorate at the American University of the Caribbean located on the island of St. Maarten. She graduated with Honors from the university with both a Master of Science as well as a Medical Doctorate. Dr. Boudreaux was recognized as a Top Student and was elected to the Alpha Omega Phi Honor Society. Tonya then relocated to New York City where she began her clinical studies. During her surgical training, she spent time operating with Dr. Edmund Kessler at Cornell and Columbia University Hospitals. After completing medical school, Tonya began her residency training at Louisiana State University in New Orleans. After three years Dr. Boudreaux completed her Pediatrics Residency and was offered a Neonatology Intensive Care Fellowship position at Yale University. Dr. Boudreaux declined the offer to be closer to her husband, Paul, and take care of their newly born son, Thomas. 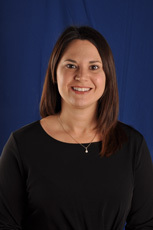 Tonya began her clinical practice in Stamford, Connecticut at Stamford Pediatric Associates. Still wishing to continue her care of the acutely ill, she took on a position as a pediatric neonatal hospitalist at Stamford Hospital. Next, Tonya received a position in the pediatric emergency room at Womens and Childrens Hospital in Lafayette, Louisiana. Tonya cared for thousands of acutely ill children over the course of her pediatric career, saving many from certain death. After the completion of her husband’s surgical training in Connecticut, the family moved to Tulsa, Oklahoma to begin Paul’s fellowship in cosmetic surgery. It was here that Tonya grew increasingly interested in the field of facial rejuvenation. Spending time with Paul in the operative setting and observing some of his non-operative measures to help people regain their youth, Tonya began furthering her career in facial aesthetics. She rapidly became proficient in facial injectables including Juvederm, Restylane, and Perlane. Also, she was trained in the injection of Botox for facial wrinkles. Tonya has attended many national meetings discussing advancements in facial rejuvenation and continues to increase her knowledge base to help provide her patients with the most cutting edge techniques. Tonya is board certified in pediatrics. She is also currently a well-respected member of the American Academy of Cosmetic Surgery. Tonya is currently the is the Clinical Director of Gravity Medical Spa. Tonya and her husband Paul have two children, Thomas, who is 5 years old and a new born son, Nikolas Chugay, whom they named after Paul’s father Dr. Nikolas Chugay. Her favorite activity outside of medicine is cycling. She absolutely loves spinning classes as they present an ultimate physical and mental challenge. When she completes a class she feels accomplished and rejuvenated. Tonya’s favorite food is sushi but will delight in any Middle Eastern cuisine. She is an adventurer at heart and will always try a new food or new experience. Dr. Boudreaux enjoys all adrenaline seeking sports from sky diving to scuba diving to deep sea fishing. Her favorite sport to watch on television is football, naturally LSU football. GO TIGERS!